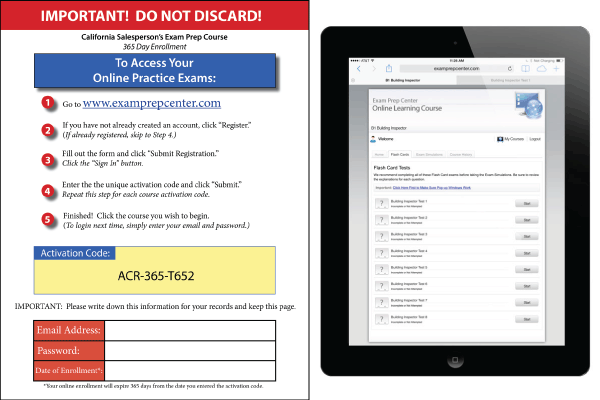 A turn-key learning management system preloaded with exam prep content. A simple method to add online courses to your school's offerings. Students sign up using an activation page with a unique code. All you have to do is hand them the page with the code and you're done. Website is generic or customizably branded for your school. You choose how long the student has access to the courses (30, 90, 180, or 365 days). Easy method to renew courses and create repeat purchases. Simple and affordable pricing (pay once per user). A proven system already in use by dozens of California trade schools. Zero expense, no time consuming investment, no setup, no programming, and no maintenance! 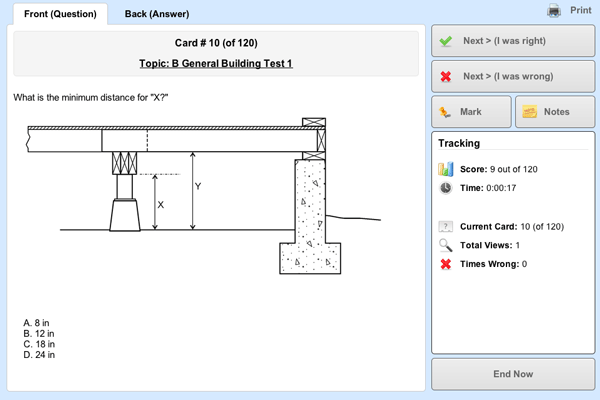 Online Flash Cards allow students to easily study by viewing the question and answers, while keeping track of their progress. Students can mark if their answer was either correct, wrong, or an option to review it for later. After completing the flash cards, students have multiple study options. 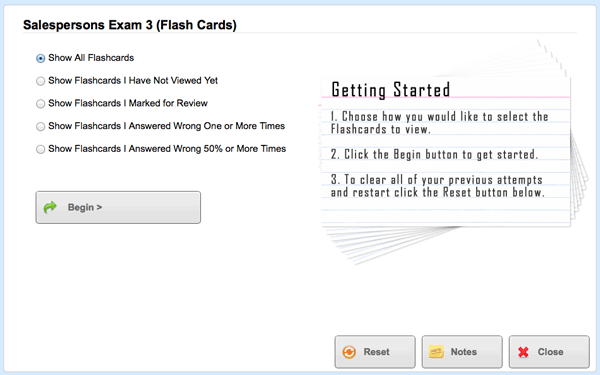 They can view flash cards not yet seen, those answered wrong, marked to review again, or all the questions. 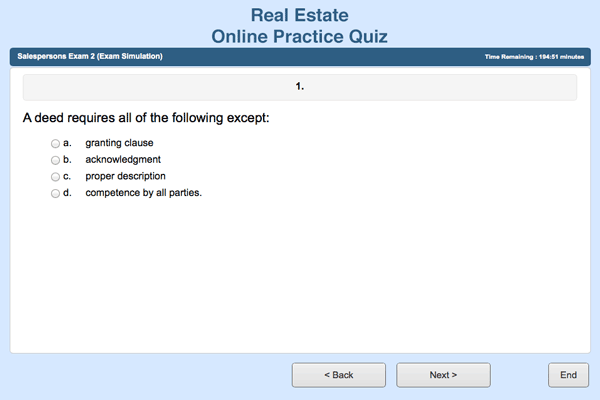 Students have access to a timed exam that presents questions in a strict exam simulation. 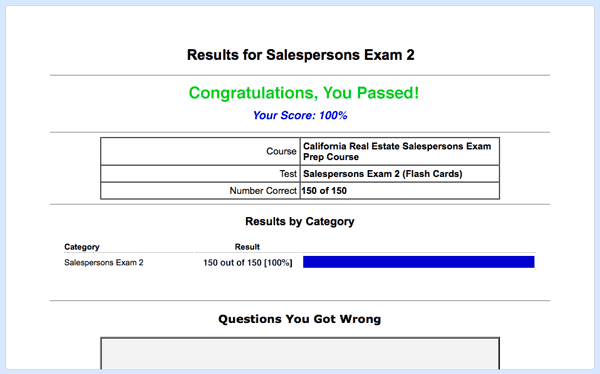 Students can choose from multiple choice options, and progress through the test just like the actual licensing exam. After the exam simulation, students receive a detailed report that lists their score and each question they answered incorrectly, along with the correct answer choice. Limited by screen size on some devices.